If you are a regular reader, you know that we love to craft over here. 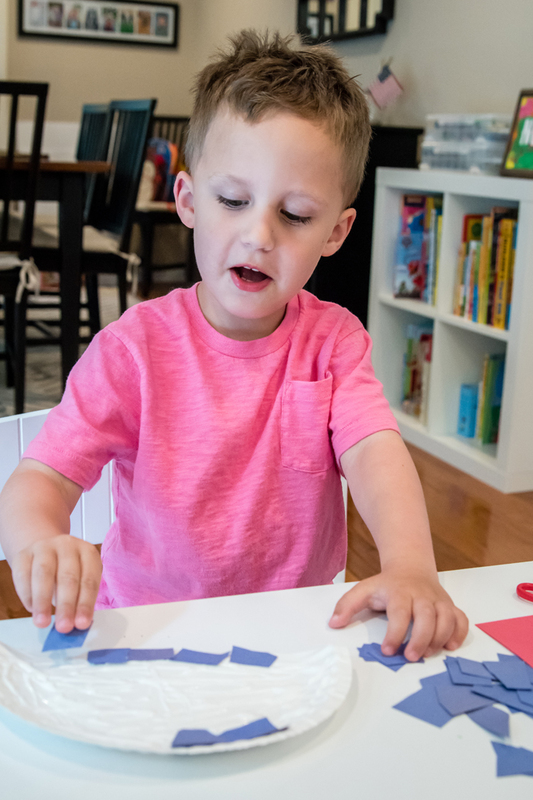 Not only do we love to do organized crafts that I plan ahead of time, but Noah is constantly drawing pictures and using scissors, glue, and tape. 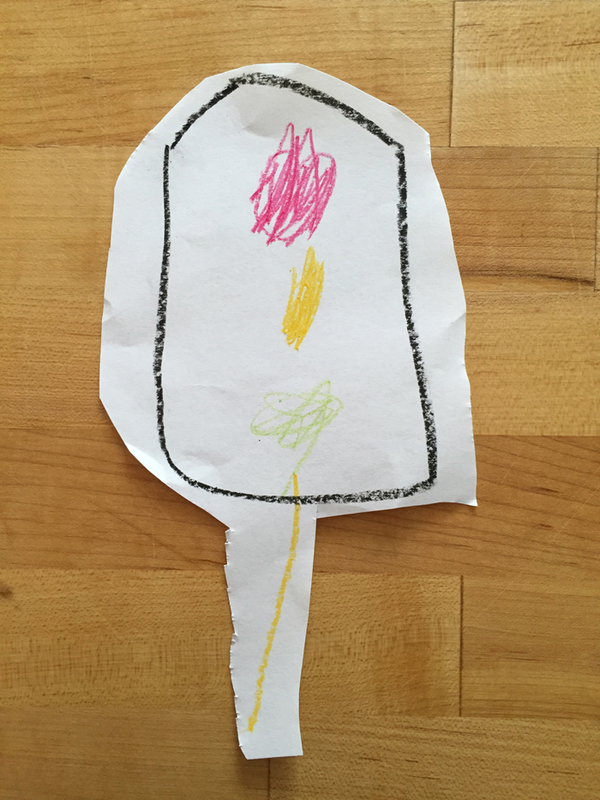 Last week, while I was making breakfast, he drew a traffic light all on his own. This spontaneous drawing inspired me to do some transportation crafts with Noah. I figured it was only fitting for us to start with a stop light! Trace 3 circles on the black piece of construction paper. The size of your circles will depend on the size of your paper. You'll want the three circles to be spaced out evenly. 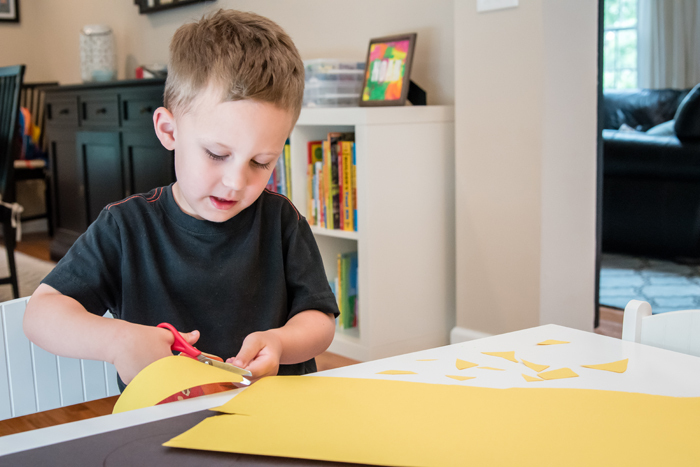 Cut squares of red, yellow, and green construction paper. Glue the squares inside the appropriate circle. 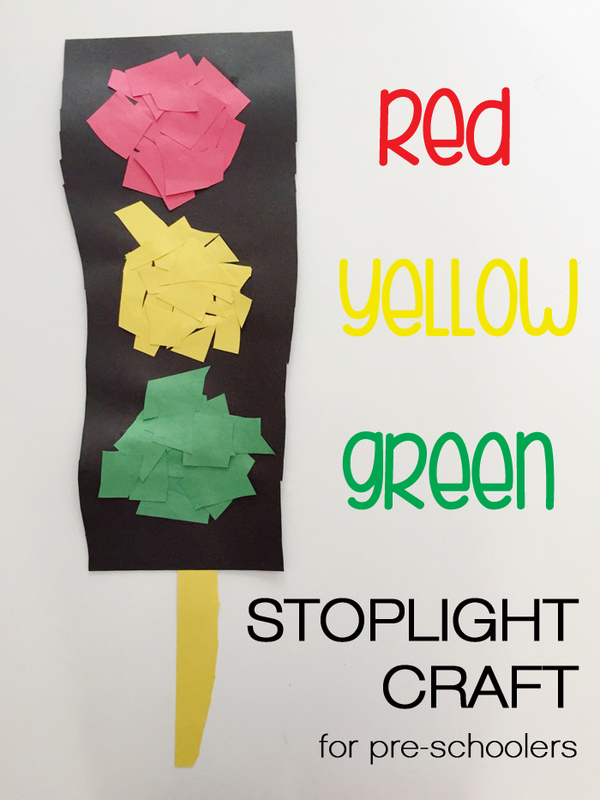 This is the perfect time to teach your child the order of a traffic light and work on their colors. 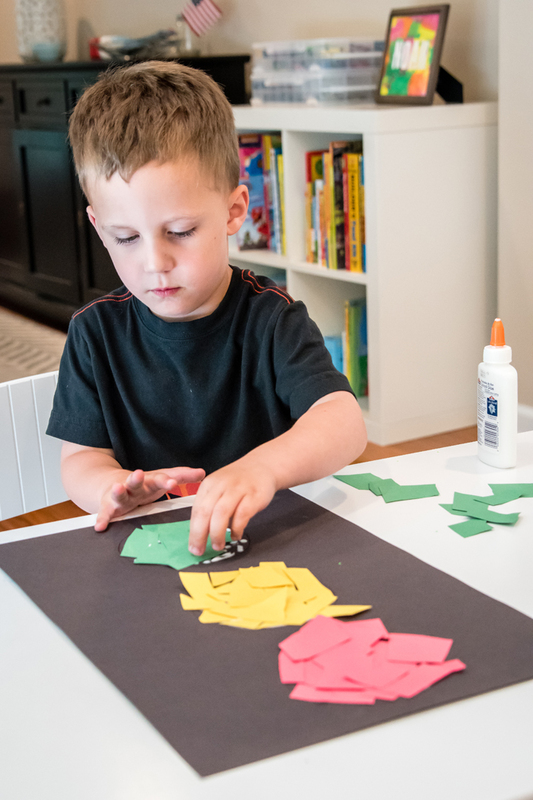 If they are very young, you could start it off and use this as a color matching craft with the rest of the pieces. Now that Noah is getting older and really good at cutting, I'm letting him do so much more. In the past, I would prepare all the materials ahead of time and just let him do the gluing. But this time, I simply gave him all the colored construction paper and let him do the rest. He helped me trace the 3 circles using a cup as our guide. Then he cut all the squares from the colored paper and glued them into place. It was totally his idea to trim the black paper so that the stop light was more narrow. And we had to add a yellow pole! Now that we had our traffic light, we needed some cars to go along with it! I had found some paper plate crafts on Pinterest and showed Noah the finished product. He was so excited to do it and immediately went to grab the paper plates! And before I knew it, he had cut the bottoms off to make a car! Simply glue on the colored squares and then the wheels, lights, and windows, and you are done! Once again, Noah had fun doing every single part of this craft! He absolutely loves to cut and glue and was adamant to do everything "on his own"! I couldn't get over how he sat with his legs crossed when cutting out the wheels! While I had only planned to do these two crafts, Noah immediately requested we make a train next! I'm not exaggerating when I say he loves this stuff! 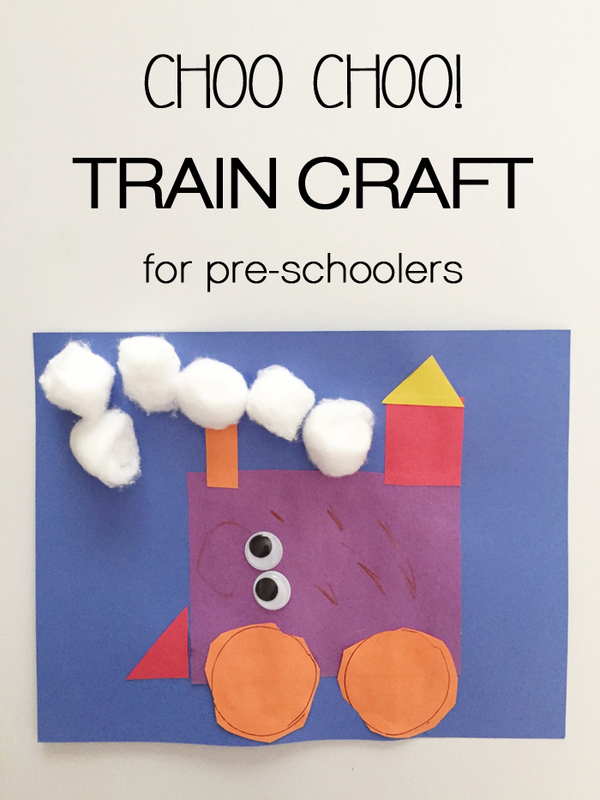 I quickly searched Pinterest for a train craft and found a really cute "shape" train. 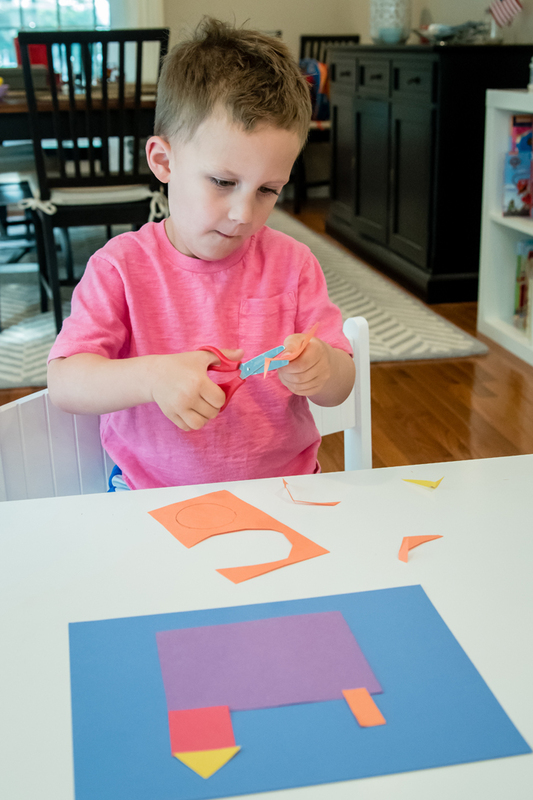 For this craft, I helped Noah a little more by cutting out the rectangles and triangles, but that was because we wanted the proportions to be right. 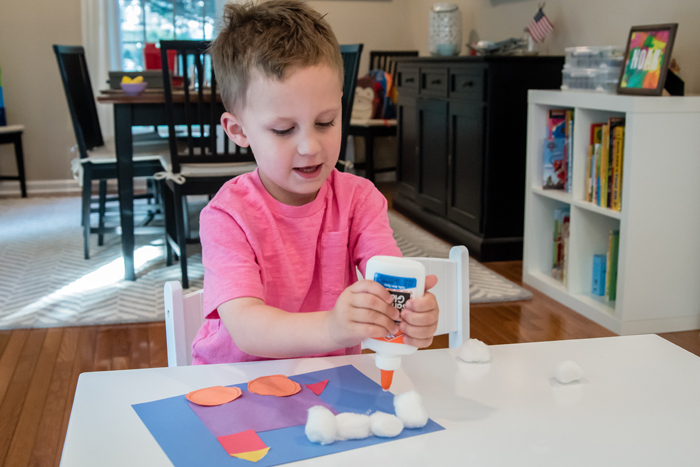 Using glue, assemble the train and add the steam (cotton balls). 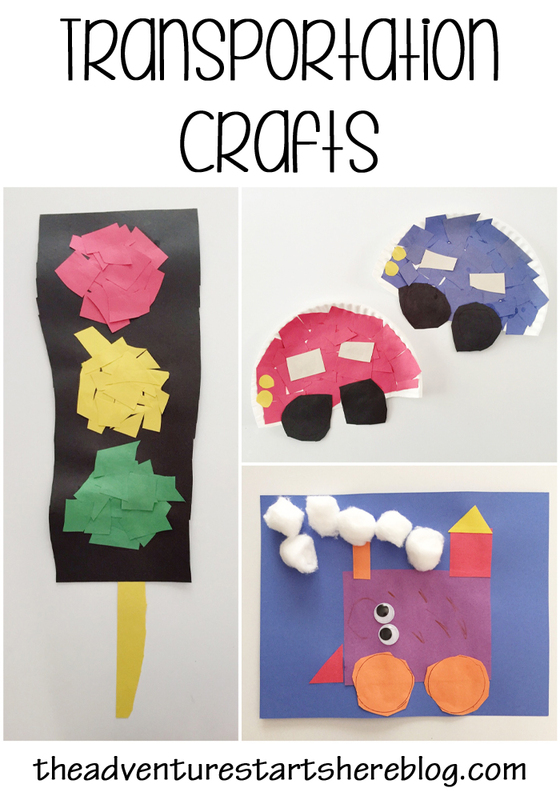 I am just loving how these crafts are evolving as Noah grows. If you have colored construction paper, scissors, and glue in your arsenal, you can make almost anything. And based on your child's age, skill, and interest, you can decide how much you prepare ahead of time versus how much they do on their own. 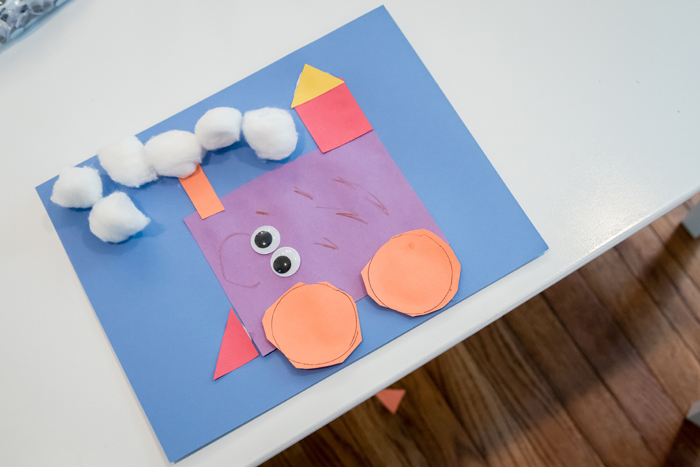 And as usual, I find it's best to have a general idea of what it will look like and then let your child run with it and add their own creative touches to it :) Crafting with toddlers and preschoolers really can be simple AND fun! I am in complete awe of Noah's use of scissors. I am not bragging when I say Connor is clueless. We need to work on that. I have a Melissa and Doug workbook but we haven't whipped it out yet. Maybe that will be a July goal of mine. Oh my goodness those are so cute. I am loving those plate cars and the face he put on his choo choo is adorable. Great job on these Meghan. They are great! Love these!! Noah gets me so excited to craft with Ben one day! Also, I love that Lily does the most of the cutting (I hate cutting) and gluing all on her own now. It's so much fun and totally adds to the creativity level I think! These are so cute! 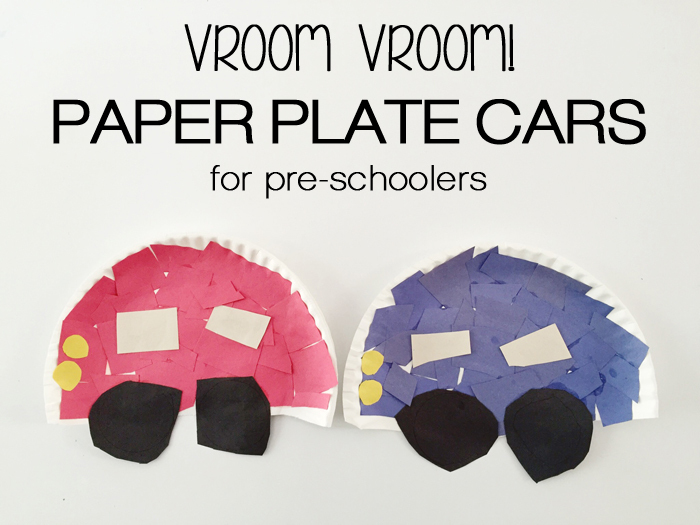 I love how simple the paper plate car and stop light are! You & your crafts! Love the transportation theme! You two are the craftiest and I love it! These are all great transportation crafts. And as always, I adore the photos!! ooh we haven't practiced cutting in a while, maybe we will do that tomorrow! Love the traffic light craft. I LOVE these!!! These would actually be right up Mason's alley. he doesn't love crafts but I think if I let him make a car and a stop light, he would be more into it! 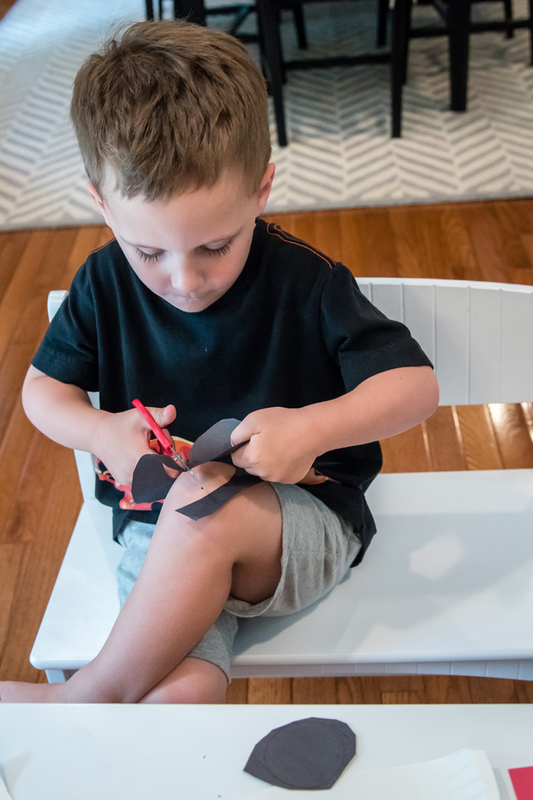 Noah crossing his legs to prop up his cutting paper is so cute! I love how happy his train looks.